Samsung Galaxy M20: Can the Exynos 7904 be the game changer? Despite not being the most powerful chipset in the segment, the Exynos 7904 SoC is definitely a step in the right direction. South Korean smartphone maker, Samsung, launched its latest mid-range offering, the M20, in India on January 28 at a competitive price of Rs 12,990 for the 4GB+64GB variant and Rs 10,990 for the 3GB+32GB variant. Announced alongside the more affordable budget offering M10 – which starts retail at Rs 7,990 for the 2GB+16GB variant and goes up to Rs 8,990 for the 3GB+32GB variant – the two phones signal a clear shift in Samsung's outlook for the Indian market. The M10 and M20 – both devices being marketed aggressively for 'millennial' consumers – bring with them a new design scheme and powerful internals to a price range that Samsung has faced some troubles in off-late. But of the two devices, it's the M20 that is a better case study in Samsung's attempts at wooing the new age 'millennial' audience which had appeared to be slipping out of its grasp. And at the core of such efforts is the Exynos 7904 SoC – a chipset designed in India and tailored for the country's millions of mid-range smartphone buyers. Samsung first unveiled the Exynos 7904 earlier this month as a chipset that promises to deliver "enhanced multimedia, imaging performance and seamless mobile computing and gaming experiences" to the newer generation of buyers in India who have been slowly migrating to phones packing powerful mid-range chipsets such as the Snapdragon 636 and 660 – both the chipsets that ran circles around Samsung's choice budget SoCs for 2018 – the 7870 and the Snapdragon 450 SoC. 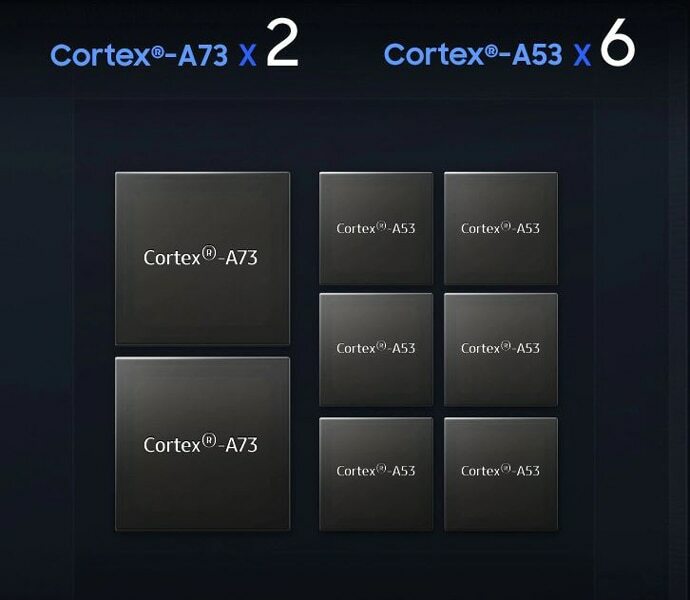 The Exynos 7904 built using the 14nm FinFET process for improved power efficiency is equipped with two performance Cortex-A73 cores running at 1.8GHz for heavy computational tasks, and six energy efficient Cortex A53 cores running at 1.6GHz for everyday tasks – as opposed to a configuration of eight power-efficient Cortex A53 cores running at 1.6 GHz on the Exynos 7870. These processors have been paired with a Mali-G71 MP2 GPU to give the chipset more raw processing power than the 7870. In fact, in terms of the GPU, this is the same one that Samsung has previously used on the more powerful 7885 SoC – a chipset used on mid-range flagship Galaxy A8+. Much like the Exynos 7870, the new SoC again supports LPDDR4 RAM. However, one major upgrade in architecture over the 7870 and the 7885 is the new Image Signal Processor (ISP) which supports single-camera resolutions of up to 32-megapixels (MP) and an advanced triple-camera setup – 32MP + 32MP (Front+Rear) or Dual 16MP + 16MP or triple cameras. Although the new 7904 chipset is definitely an upgrade over the 7870, it's not really better than the likes of Snapdragon 636 or 660 that currently power many of the popular phones in the mid-range segment of the market. 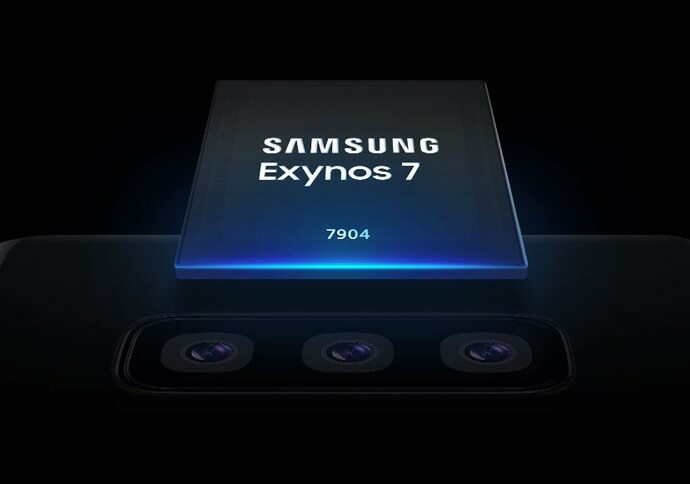 Yet, it cannot be denied that the Exynos 7904 architecture is a step in the right direction and as a chipset, it could definitely power phones that are for the 'millennial' audience looking for devices that can be used for browsing the net, staying in touch with the world of social media, clicking pictures using powerful camera setups and even gaming on up to medium graphical settings – all the while, remaining power efficient. Add to the fact that this chipset debuts on a phone that currently starts retail at Rs 10,990 hints at bigger and better things to come. It is a clear indication that Samsung wants to get back in the ring for a proper fight against Chinese smartphone makers who had of late enjoyed almost a free run in the segment because of Samsung's underpowered offerings. Also read: World's largest brain-mimicking computer goes live, but should we be excited?